• 24hr availability – being always available means we can solve our customers’ problems the moment they occur, day or night. • Fast response time – offering very short response times shows how much we appreciate our customers’ time. There is not a moment to spare and there is always someone to count on. • Professionals – our team is comprised of nothing but professionals who can effectively and safely deal with any situation. 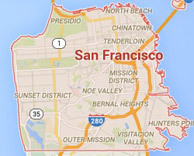 • Service awareness – we gladly serve our local San Francisco community and greet each and every customer with a smile and a professional solution. • Customer satisfaction – we do absolutely everything in our power to make sure our customers are 100% guaranteed, each and every time. 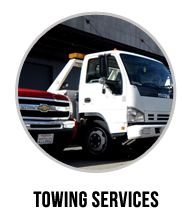 Regardless of your vehicle’s make, model, size, or condition, our experts will provide you with the best private property towing solution anywhere in the larger San Francisco area. 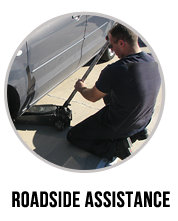 Eastway Towing provides a certified and bonded team of technicians, available 24/7 for your convenience. 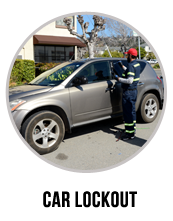 We understand you have other things on your mind, so we always arrive on time, and take extra care when handling your vehicle, especially along the steep, plunging roads of San Francisco. 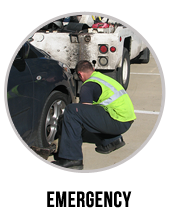 Remember, the next time you need any kind of towing service or roadside assistance solutions in the area of San Francisco, keep Eastway Towing in mind. 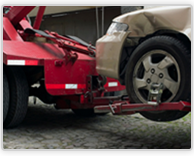 Contact us at (415) 579-2700 for a fast and safe towing service, which takes care of your vehicle with silken gloves and makes sure it arrives at its desired destination.